Borussia Dortmund are preparing to trigger the buyout clause of Liverpool and Juventus target Inaki Williams, report Calciomercato. Williams is widely considered one of the most exciting young talents currently playing in La Liga. 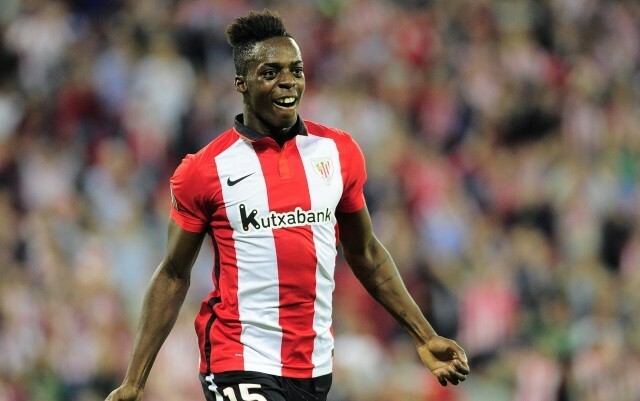 Though only 22-years-old, he has already found the back of the net 21 times for Athletic Bilbao. His electric pace makes him near-impossible to stop when in full flow. Williams’ good performances for Athletic also earned him a call-up for the Spanish national team, where he made his debut for his country against Bosnia and Herzegovina last May. His astronomical potential appears to have captured the attention of several European heavyweights. According to Calciomercato, both Juventus and Liverpool are in the hunt to secure Williams’ services – but they could both be beaten to it by a fellow household name. Calciomercato cite Spanish reports in claiming that Dortmund have jumped to the front of the queue to sign Williams. They believe that the Bundesliga giants are preparing to match his £42.6million in order to secure his signature in the summer transfer window.